The Black is Back Coalition March and Rally November 7 Washington, DC! Washington, D.C. – A newly-formed Black coalition has announced a rally and march on the White House to take place November 7, 2009 beginning in Washington, D.C.’s historic Malcolm X Park. The rally and march are to protest the expanding U.S. wars and other policy initiatives that unfairly target African and other oppressed people around the world. 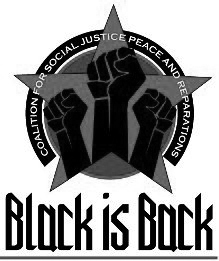 Known as the Black is Back Coalition for Social Justice, Peace and Reparations, the coalition formed on September 12, 2009 during a meeting in Washington, D.C. of more than fifteen activists from various Black organizations, institutions and communities. 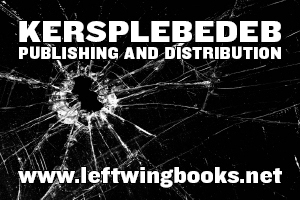 The Black is Back Coalition aims to draw upon the support of many of the leading anti-imperialist organizations, journalists, organizers, artists and scholars of the African world. In this age of Obama, Rally and March on November 7, 2009 aims to bring back the tradition of resistance historically associated with Black communities around the world. Comprised of seasoned veterans of Black political struggle, consisting of members of the African People’s Socialist Party, the NAACP, MOVE, the Green Party, Black Agenda Report and many other grassroots organizations and efforts, this coalition is perfectly situated to do just that.